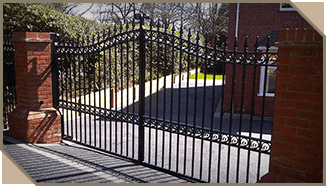 We manufacture all of our wrought iron style gates to the highest standards and supply them direct from our Midlands factory. Choose from five standard designs or create something bespoke from our made-to-measure service to ensure you get the design and uniqueness you are looking for. 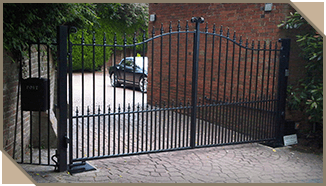 Gates can be supplied for you to arrange installation or you can choose to have our expert team install them for you. 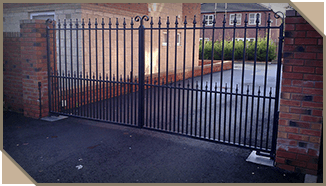 We offer a great selection of wrought iron gates in our range to secure your property and enhance the overall appearance. 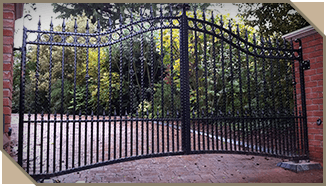 Available in standard and bespoke styles, the Heartlands range of Wrought Iron Driveway gates can be automated for ease of use from our wide range of automation products. Privacy and security are paramount. 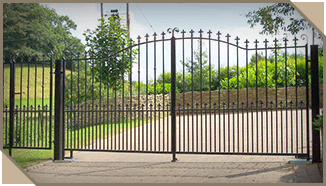 Wrought iron side gates are available in many different gap sizes and styles to suite your needs. They can help keep children and pets safe and offer added security.